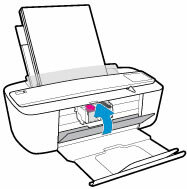 Which ink cartridges do I need for my HP Deskjet 3755 All-in-One series Printer? 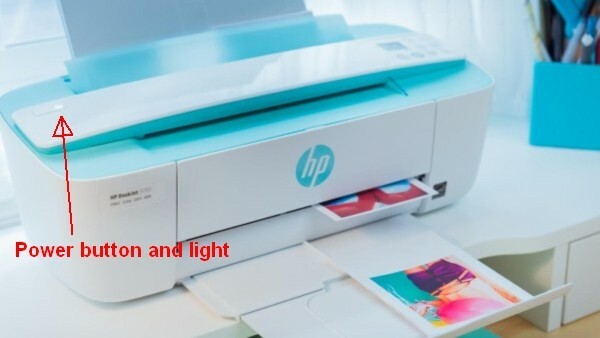 For your US HP DeskJet 3755 All-in-One series Printer you need HP 65 Black AND HP 65 Tri-color cartridges OR the XL versions: HP 65XL Black AND HP 65XL Tri-color cartridges. 2. Load unused plain white paper into the input tray. 3. Open the cartridge access door. 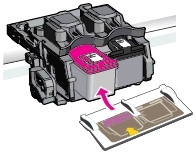 The carriage moves to the center of the printer. Wait until the printer is idle and silent before continuing. 5. Remove the new cartridge from its packaging. 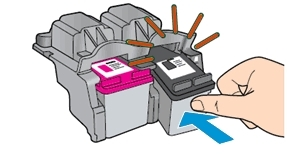 Be careful to only touch the black plastic on the ink cartridge. 11. Follow any prompts on the screen. 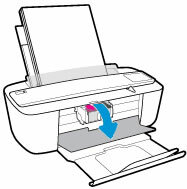 – Search Windows for the name of your printer, and then click your printer in the list of results. HP Printer Assistant opens. 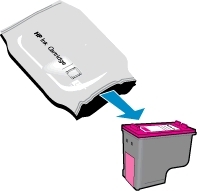 – Click Maintain Your Printer. The printer toolbox opens. – On the Device Services tab, click Align Cartridges. 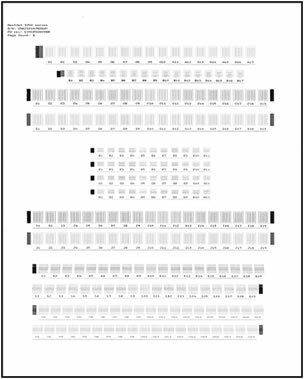 The printer prints an alignment page with rows of numbered boxes. Each box on the page consists of two sets of lines. – On the alignment page, find the box in row A in which the two sets of lines overlap the most, for example, A10. In the printer software, select that box from the A drop-down list. – Repeat these steps for each row of boxes on the alignment page.